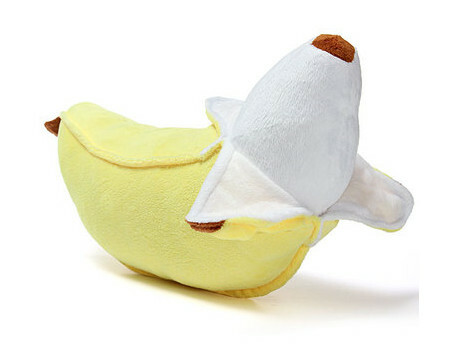 Now here is a unique way to play around with words – by calling this half peeled banana looking pillow the Apeeling Banana Pillow, which carries a different positive connotation as well. All for just $14.99, it might not be edible, and neither does it come with all the natural goodness that a banana is able to offer, but at least it can deliver rest for the heavy headed, and keep you nice and comfortable whenever you need to get some shuteye. All that you need to do is to toss it behind your neck, and snuggle! It will boast of banana peels coming down from one side of the fruit pillow, not to mention doubling up as a great conversational piece. Best of all? It won’t rot!